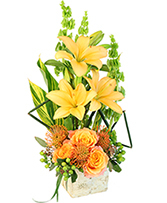 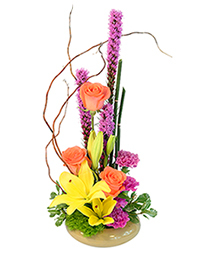 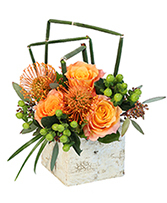 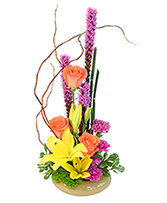 This arrangement has pink cushion protea flowers in it and requires a day's notice on ordering if possible. 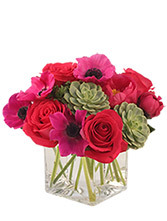 Or we would have to substitue on the a similar type of flowers. 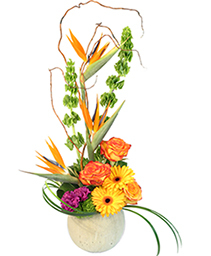 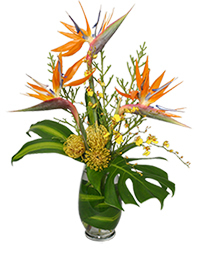 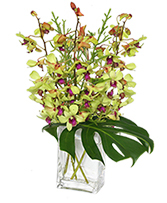 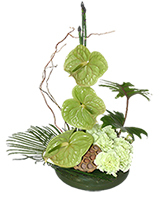 This floral arrangement requires a day's notice and we may not always be able to get the green antherium flowers. We may have to substitute with a red antherium flowers. 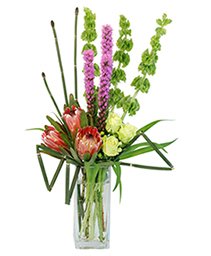 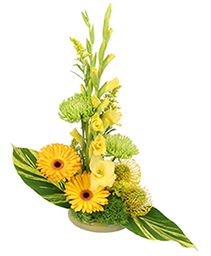 Please order this arrangement as early as possible when considering it.